It looks good right here, Mom. 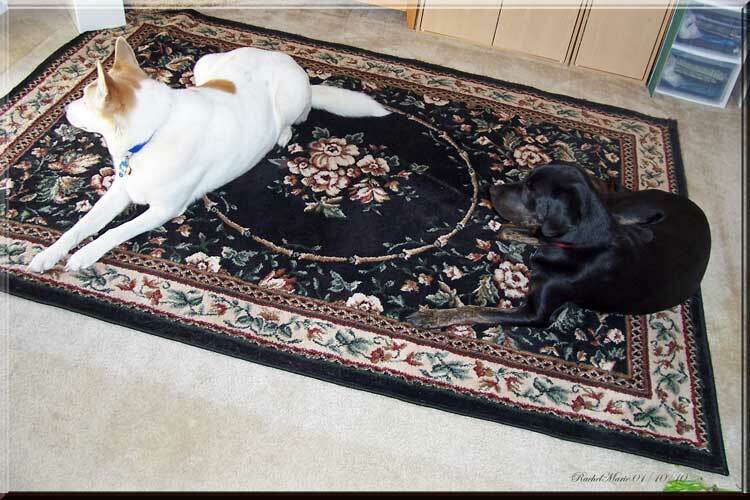 Why, when you are trying to clean, whether you are vacuuming carpet or rearranging furniture, or laying down an area rug, do dogs decide they must be right where you need to work? ~ by Rachel on January 10, 2010.